Slow Cooker Chicken Caesar Sandwiches, They're Trendy & SO YUMMY! Slow Cooker Chicken Caesar Sandwiches, They’re Trendy & SO YUMMY! I’ve encountered multiple crockpot recipes that have impressed me, but these Slow Cooker Chicken Caesar Sandwiches by Delish are by far the best. Tens of thousands have shared this recipe on Facebook. In addition, the instructional video went viral immediately! Home cooks and foodies around the world can’t stop praising this recipe, and it’s easy to see why. 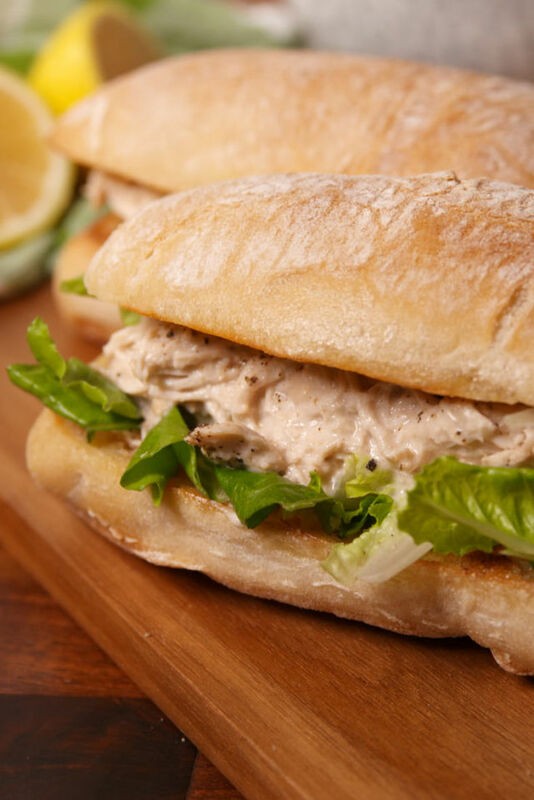 In just 3 simple steps, you can devour the deliciousness of Slow Cooker Chicken Caesar Sandwiches. The irresistible creaminess and flavorful zing is SO satisfying. This rendition is absolutely brilliant! So who invented the Caesar Salad? Legend has it that Italian-American restaurateur Caesar Cardini invented the bonafide legend in 1924 in Tijuana, Mexico. Slow Cooker Chicken Caesar Sandwiches are easy AND delicious. They’re perfect for a stress-free dinner on a weeknight, or even to serve a hungry crowd for a special occasion. Join the others who’ve already tried this recipe — you won’t be disappointed. SHARE THIS ARTICLE TO SHOW YOUR LOVED ONES THIS MOUTHWATERING RECIPE!